Whether beginner or pro, every drummer knows that playing the drums is about more than just making music – it’s an active workout for the entire body. From your feet all the way up to your shoulders, almost all of your limbs are engaged when you play the drums. Using your fingers to roll on the snare, flicking your wrist to hit the toms or raising your arm to smash a cymbal – drumming can be an intense and tiring workout for players of all levels. But as every serious drummer knows, keeping your muscles and joints in top shape is the key to any great performance. Flexible and healthy joints allow for increased mobility around the kit, while strong muscles and a powerful drumstick grip increase drum endurance – meaning you can play better for longer. 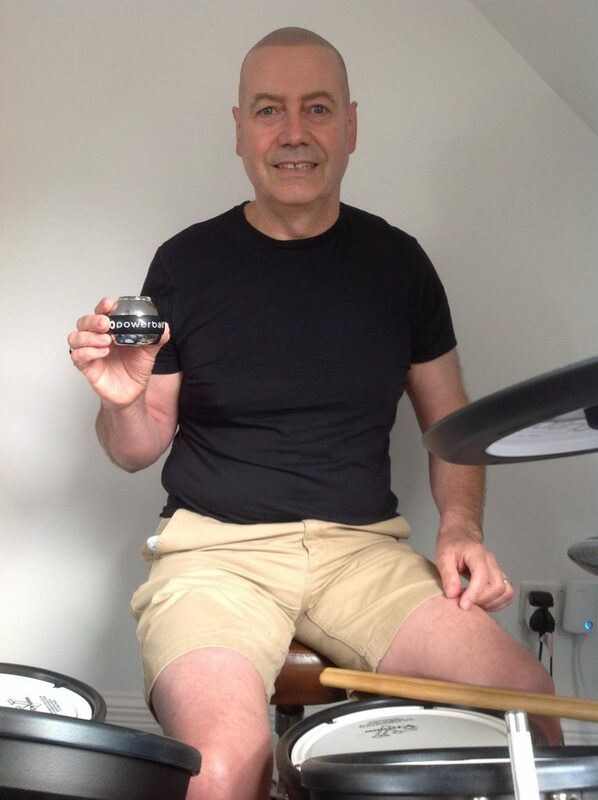 Powerball is a revolutionary device for strengthening and a must-have product for all drummers. Spin Powerball at high speeds and feel its incredible effects take action almost immediately. Powerball generates isometric resistance as you spin it. The faster you spin Powerball, the more isometric resistance it creates. This resistance works its way along the entire kinetic chain of your arm, actively strengthening your muscles and joints to leave them feeling rejuvenated and strong. Isometric exercise engages a higher percentage of muscle fibres than traditional strength training and as a result, using Powerball massively increases endurance levels throughout the entire upper-body. Enhanced endurance means your muscles won’t tire as quickly, allowing you to keep up those drum grooves for longer. What’s more, the gripping action required to spin Powerball trains your fingers for a powerful, more improved grip – exactly what a drummer needs to maintain a firm and controlled drumstick grip. Hand, wrist or forearm pain when drumming? Long nights spent performing, tiresome days in the recording studio and hours upon hours of practicing all add up. Because playing the drums can be such an intense and exhausting workout, drummers are often at risk of incurring an injury from over-practicing. Repetitive strain injuries (RSI) are actually a very common problem that affects many musicians within the drumming community. Unfortunately however, this issue has gone relatively unpublicised and as a result, not everyone is getting the appropriate treatment that they need. As an activity, drumming is a prime example of muscle overuse. Whether you’re just playing a single groove or an entire song, with drumming, your fingers, wrists, hands and arms are most likely all carrying out the same movements on repeat. Overusing the same set of muscles in this way causes irritation, discomfort and more often than not, pain in the muscles and joints. If left untreated, this could lead to the development of a debilitating RSI, which may impact your ability to play. 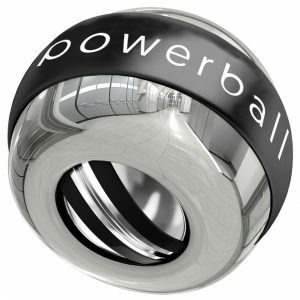 Not only is Powerball a world-class strengthening device, it is also highly-effective for rehabilitation. Spinning Powerball at slow speeds increases the flow of oxygen-rich nutrients to damaged muscle tissue, where they target and treat pain at its source. As these nutrients begin to repair the muscle tissue, the movement required to spin Powerball actively strengthens the surrounding muscle and joint, greatly speeding up the healing process. Powerball’s isometric resistance is 100% non-impact, meaning it places no strain on injured or sore muscles. Instead, it gently soothes inflammation, relieving pain and healing for fast and effective, long-term treatment. Simply by spinning Powerball for just a few minutes each day can successfully rehabilitate RSI, such as carpal tunnel syndrome, tendinitis and tennis elbow. Pick up a Powerball today and enjoy the benefits of an active and pain-free lifestyle. Spin Powerball at high speeds for as little as 5 minutes each day and experience the difference for yourself. Don’t believe us? 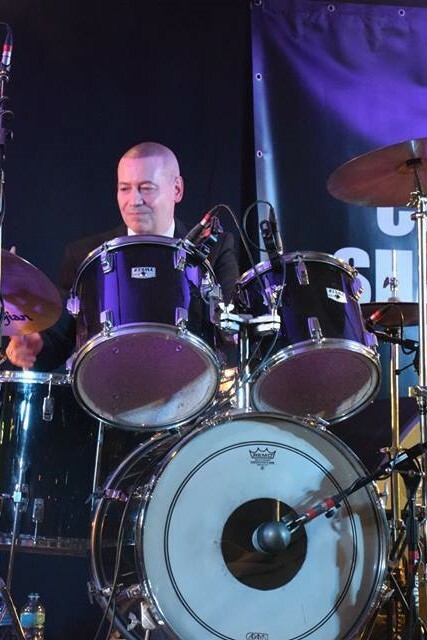 We chatted with professional drummer, Peter Precious, about his experience using Powerball. What were your early passions or influences that got you into playing the drums in the first place? Buddy Rich, the great Jazz Drummer and Keith Moon, the great Rock Drummer. Most people just keep their passion for music as a hobby, why did you decide to play the drums professionally? It was a complete love for the instrument, and realising that this was the only career that I wanted to be involved in. As a professional player, roughly how many hours do you put into practicing the drums every day? At least one hour per day. As a drummer myself, I know how difficult it can sometimes be to actually sit down and practice the same fill or rhythm over and over again until you get it right. What are your thoughts on an effective practice routine? Slow down any difficult exercise, and note the tempo that you can manage to perform the exercise accurately, and then gradually increase the tempo in increments of 5/10 BPM. Remember slow and accurate is always better than attempting in a faster and inaccurate manner. Spend some time practising some warm up exercises on a Practice Pad, such as essential Rudiments e.g. Single Strokes, Double Strokes and Paradiddles, and also try to engage in reading/performing a variety of Snare Drum Rhythm exercises on the Practice Pad. What many people don’t realise is that drumming is actually an intense workout, not just for your arms and wrists, but for your whole body in general. In order to be able to fully expand on your drumming technique, you’ve got to be physically in shape! So, other than drumming itself, do you do any special exercises or training to keep your wrists and arms in top condition? Yes, I keep fit with running on a treadmill, using a crosstrainer and also using light weights. I also use Powerball, which I have found has improved my stamina and endurance levels. I also practice daily technique exercises focusing on stamina and endurance to keep myself in shape. In your opinion, how important is it for a drummer to supplement their playing with some form of strength or warm-up training? I think warm up/technique exercises such as practising Rudiments are essential and I would always encourage students to learn to read music. It is like learning a language that allows you to express yourself more effectively on the drum set. I know that you’ve recently started using Powerball and have been busy spinning our Diablo Evo model. What were your thoughts on the product when you first used it? 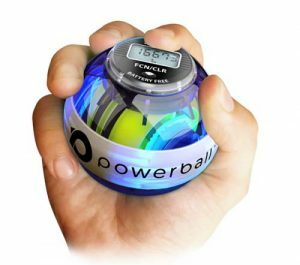 Initially it took me a little time to get used to Powerball, but I soon learned the technique by watching the video demonstrations online. Have you found Powerball to be beneficial for your drumming in any way? Yes I have noticed that my forearm, wrist and finger strength has improved and I have therefore improved my stamina and endurance and can play a little faster. 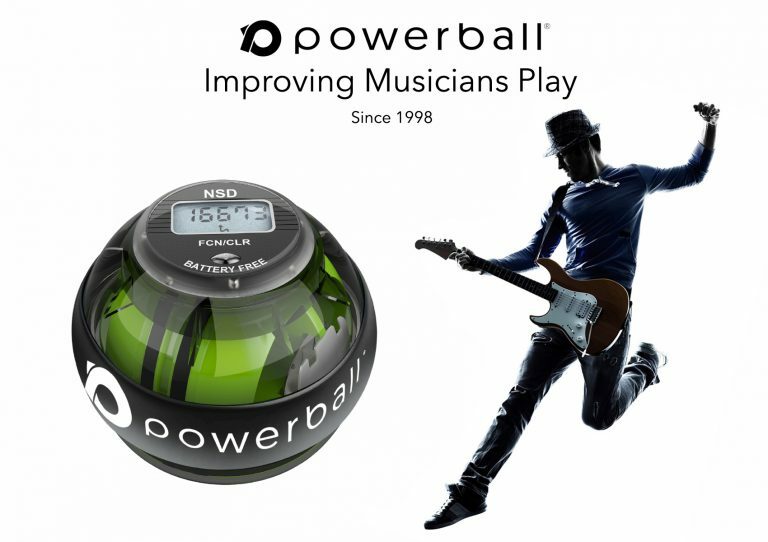 Powerball is also ideal for guitarists, bass players and pianists – really any musician whose instrument requires a lot of wrist, arm and finger movement. Have you shown Diablo Evo to your students or any other musicians? Yes, I have shown it to other musicians and students who certainly showed an interest. And finally, I think it’s fair to say that even as an established drummer there must always be aspects of your technique that you might wish to refine or improve on – do you have any personal drumming goals that you would like to achieve in the future? I am always looking to further my playing to refine and improve my technique ability as a performer, busy teacher and examiner for London College of Music. Get spinning today with Powerball. Check out the selection of models available in our store or see the ‘Compare Powerballs’ section below to find the right model for you. We’d like to say a big thank you to Peter Precious for taking the time to give us an interview and for his feedback on Powerball.